This club is predominantly for watergardens. 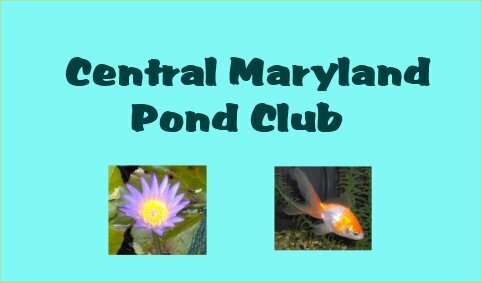 The Central Maryland pond club meets every first Sunday of the month at 2 PM at someone's house. My imaginary pond club is just a pipe dream but this is only a sample anyway! I could write up to 500 letters here including information about the next meeting which I could update each month as needed for free.